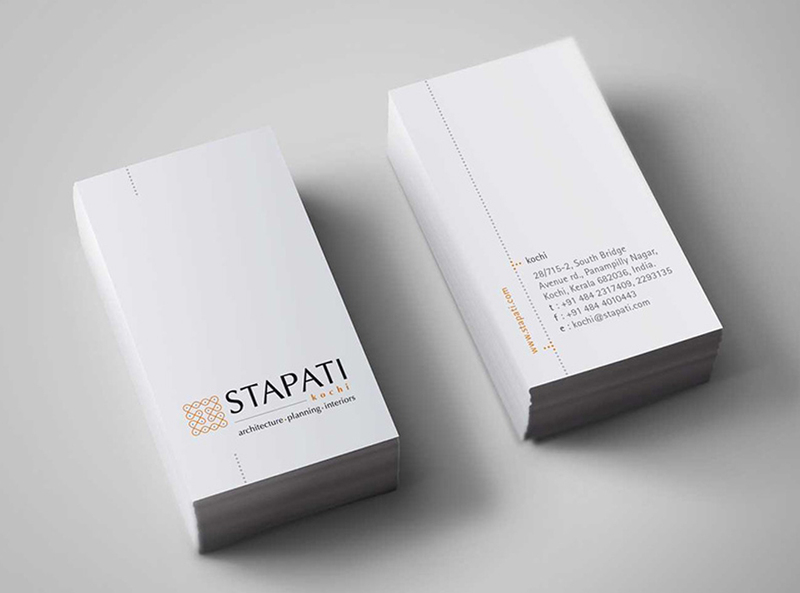 The word Stapati means ‘master builder’ in Sanskrit. The firm is recognized for its creative design utilizing traditional elements in the modern context. 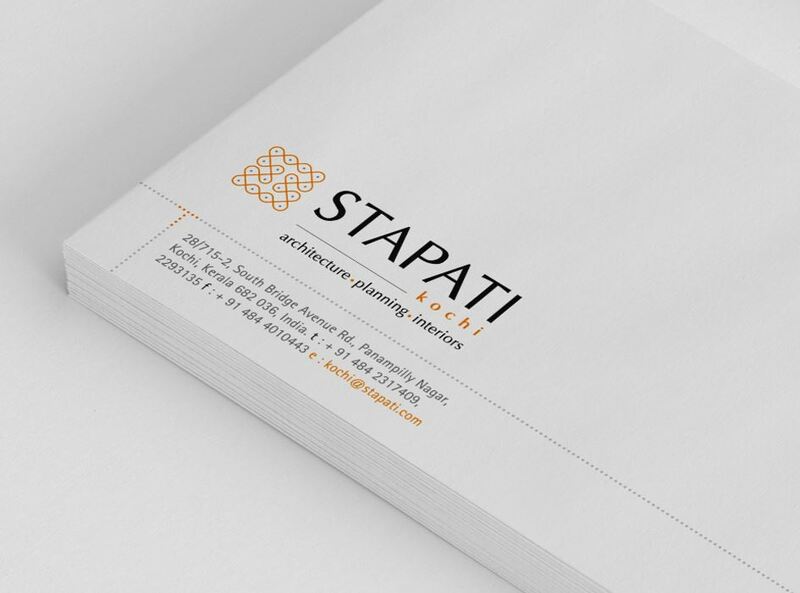 Stapati Architects is one of the leading architectural consultancy firms in Kerala with offices in Calicut, Cochin, Bangalore, and an associate presence in Dubai. The logo is a representation of the ‘Kolam’, which is a geometrical line drawing, composed of curved loops and created around a grid pattern of dots. The South Indian Kolam is about symmetry, precision, and complexity. Traditionally, kolams are considered symbols of prosperity and are usually re-drawn daily in a myriad of geometrical designs with coarse rice flour. Kolams also provide a source of sustenance for ants, birds and other small creatures, a daily tribute to harmonious co-existence. It is also an auspicious sign of welcome to all who enter your home. 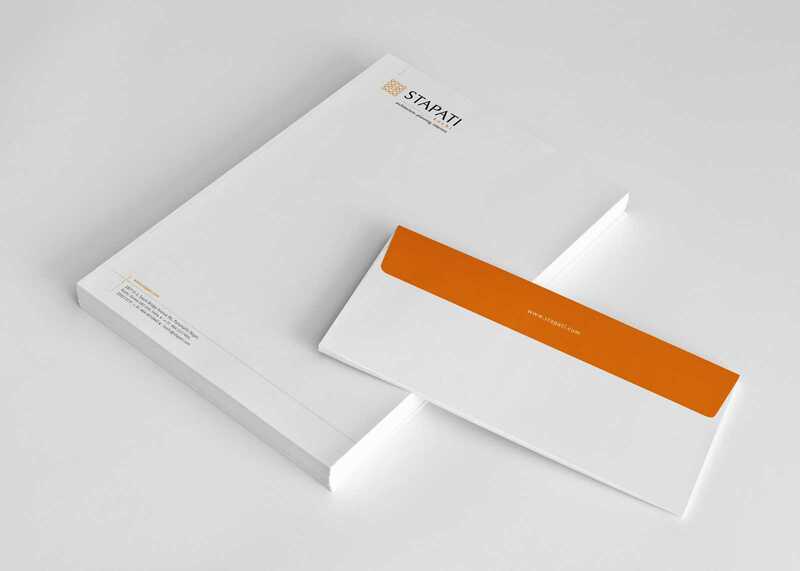 The usage of dots and lines on the identity has been carried forward to the design for the stationery. 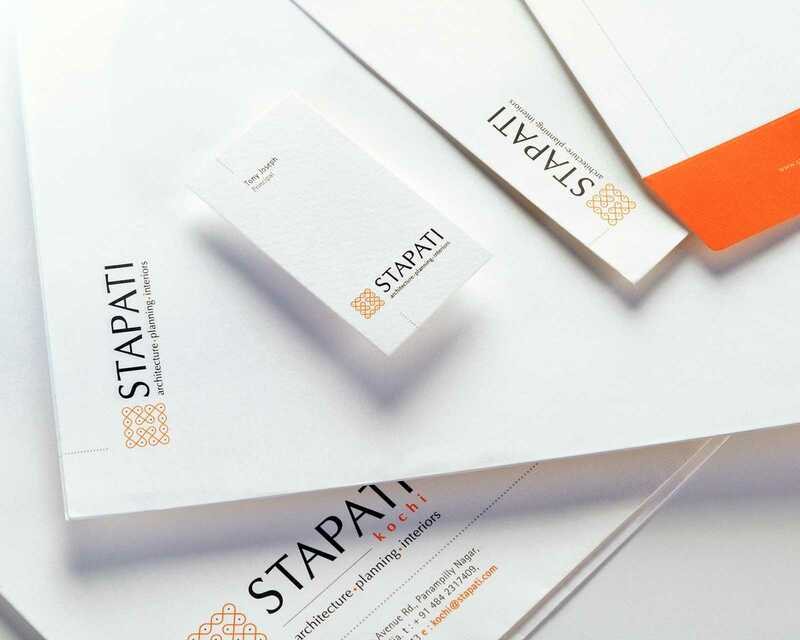 The dots have been used in an interesting manner across all Stapati’s stationery. 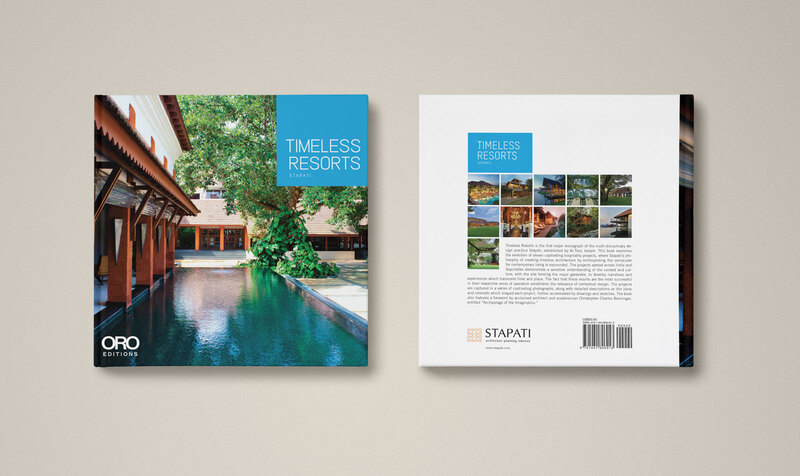 Compiled, designed and created by Graycell, and published by the New York-based ORO Editions, ‘Timeless Resorts’ an international publication, is the first major monograph of Stapati Architects. 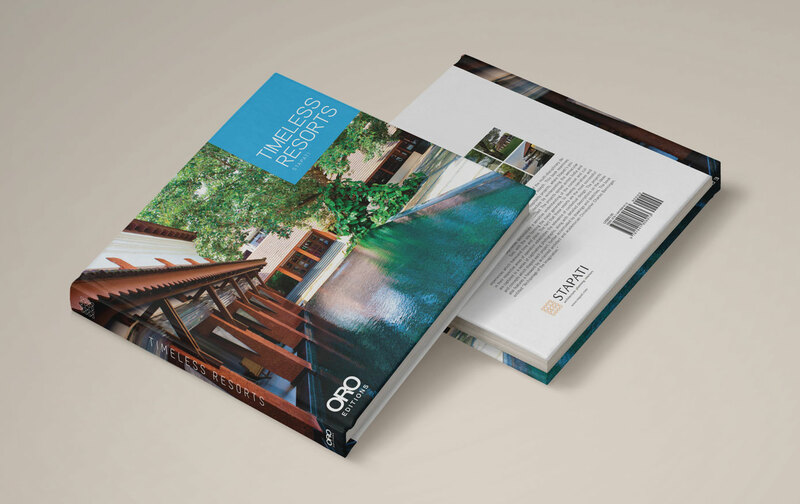 The book examines the evolution of eleven captivating hospitality projects. Stapati has expounded the philosophy of creating timeless architecture by reinterpreting the vernacular for contemporary living. The projects, which spread across India and the Seychelles, demonstrate a sensitive understanding of culture, and experiences that transcend time and place. Each project is captured in a series of captivating photographs, detailing the ideas and concepts that shaped the project.